Adventurous East London Locations will begin shortly. Want to see the best sights in East London but aren't sure where to start? In today's video, jewelry designer Mira Ovaskainen of VALO gives us some great ideas on how to explore the coolest London neighborhoods. Looking for a place to stay? Check out Ace Hotel, located in London’s trendy Shoreditch neighborhood. Branded as a luxury hotel with a musical, modern twist, room amenities at the Ace Hotel include vintage record player, extensive retro vinyl collections, and a personal string quartet to play tunes as you unwind. 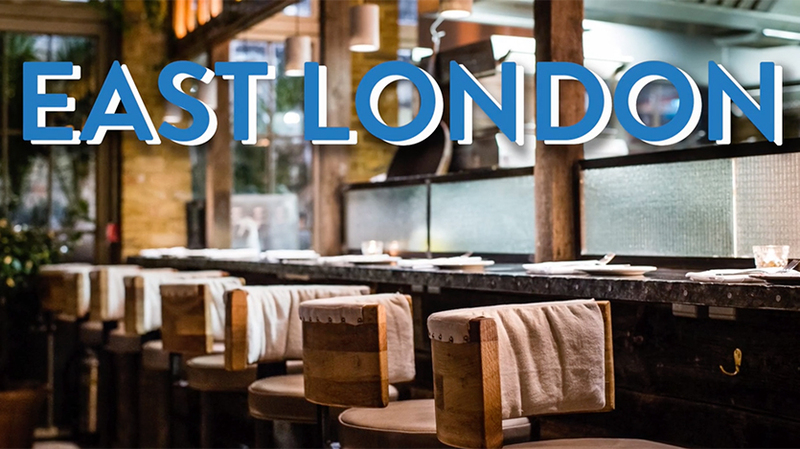 During your stay, don’t forget to take walk around the block and explore some of the best restaurants London has to offer, including local hotspot Gallery Bar and Ace’s very own Hoi Polloi. Located atop a 40-story skyscraper, Duck and Waffle is proud to be the highest restaurant in the UK. When you’re not taking in the breathtaking views of London’s skyline, don’t forget to enjoy the fun-loving european menu, featuring dishes like miso glazed rabbit and slow cooked lamb sloppy joe. With nearly ten locations throughout the London metro area, why not get your morning started at Taylor St. Baristas! Envision yourself enjoying a fresh, delicious sandwich while sipping a warm, ethically-sourced mocha brew. Now, doesn’t that sound divine? From designer labels to handmade trinkets, there’s no better place to grab the perfect London souvenirs than Old Spitalfields Market. Every day of the week features a different theme of shops such as vintage, art, and antiques. Make a day of it and enjoy an array of tasty street food vendors such as Crepeaffaire, Bleecker St Burger, and Poppies fish and chips!